The girls are going crazy over the streetwear this spring. 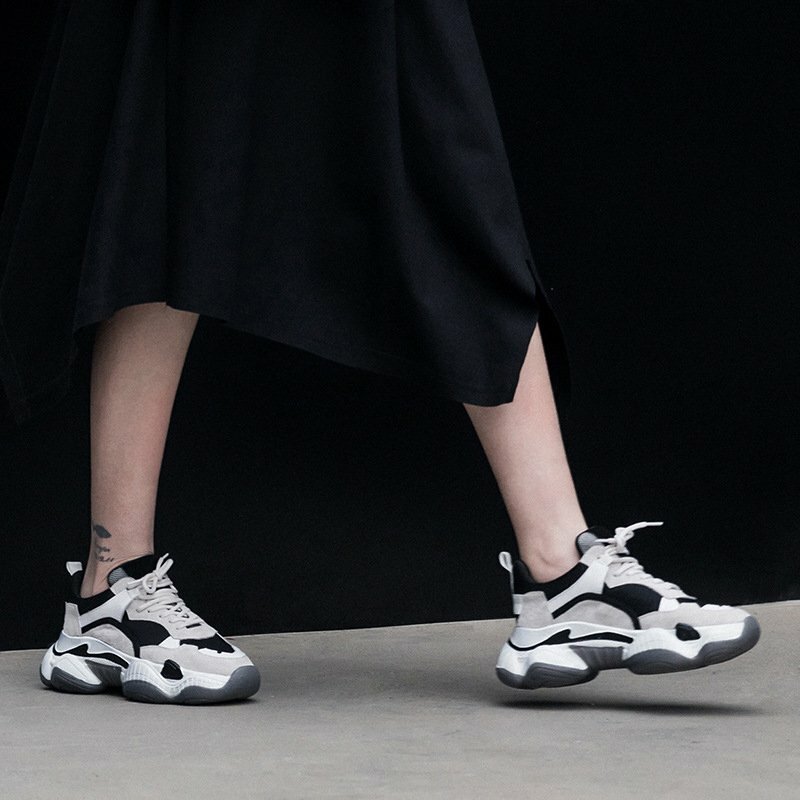 More than half of the trend is speaking volumes for the functional yet spunky offbeat sneakers. Call it low-key enraptured in oomph! Stepping out of your home won’t make you step out of your comfort zone at all. We’re talking about color, flash, oversize and the never-getting-too-old animal-inspired prints. 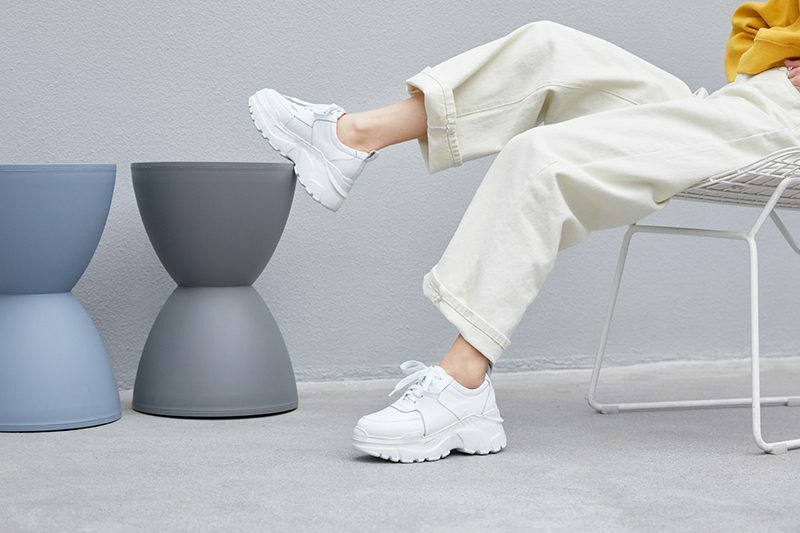 Below, you’ll find the top 4 sneaker trends that are bang up to date. Quite literally every fashion detail from the classical era of the 80s and 90s is coming back in the game. Neon colors have been making their name at every runway, especially at the Spring 2019 ones. 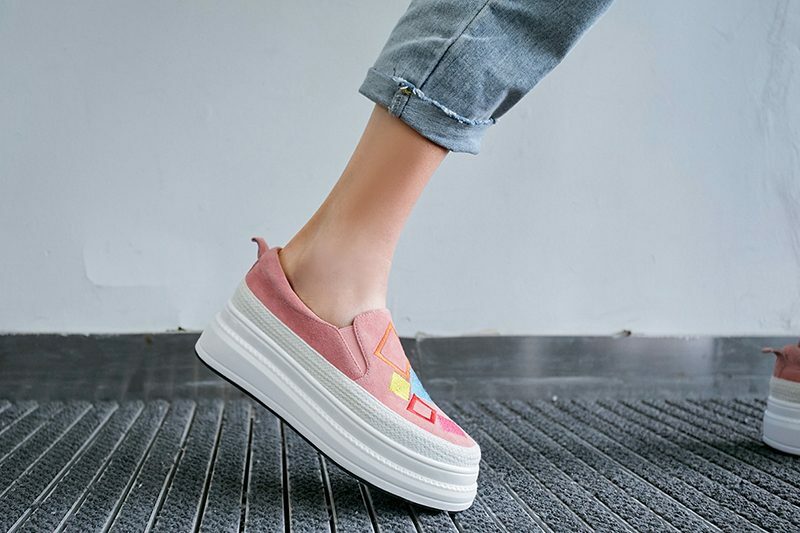 The top sneaker trend blowing our minds is the bright spring colored sneakers. They are edgy and make you feel like a second-grader once again. 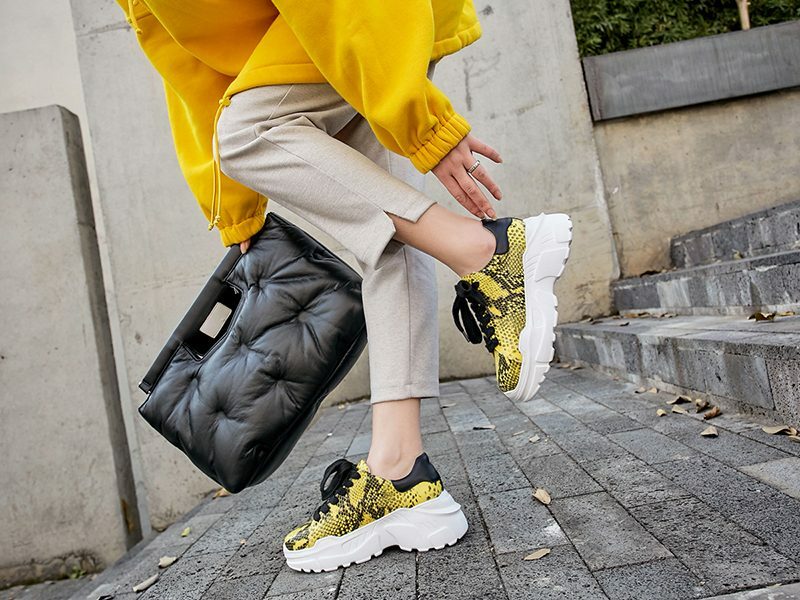 What makes these colorful sneakers worth it is the fact that they can be paired with plain outfits as a basic staple and you won’t regret wearing them at all. You can make a green or pink sneaker your go-to streetwear while keeping your outfit neutral. Let’s just say that metallic flash isn’t going anywhere anytime so and why should it? No doubt, the silvery flashy sneakers make you stop and gawk at them for a couple of minutes because they do look dope. 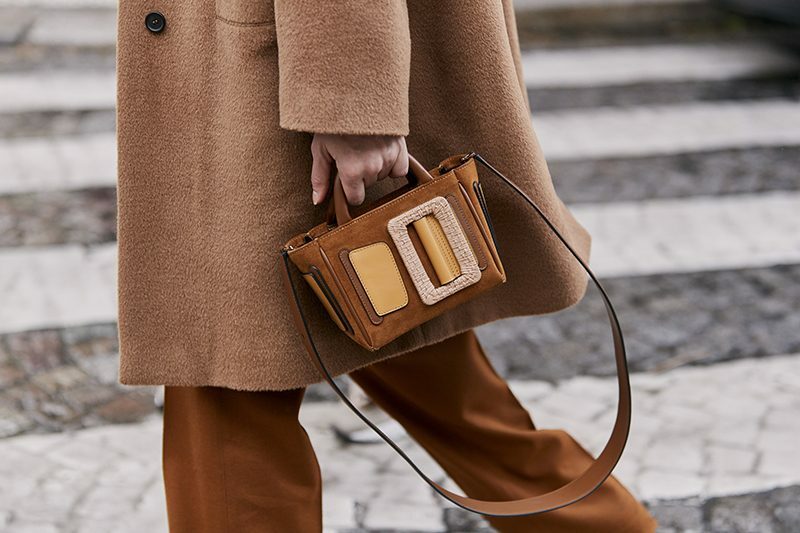 This season you can rely on rose gold, gold and of course silver. Feel free to grab them with your favorite holiday dresses or even party wears. 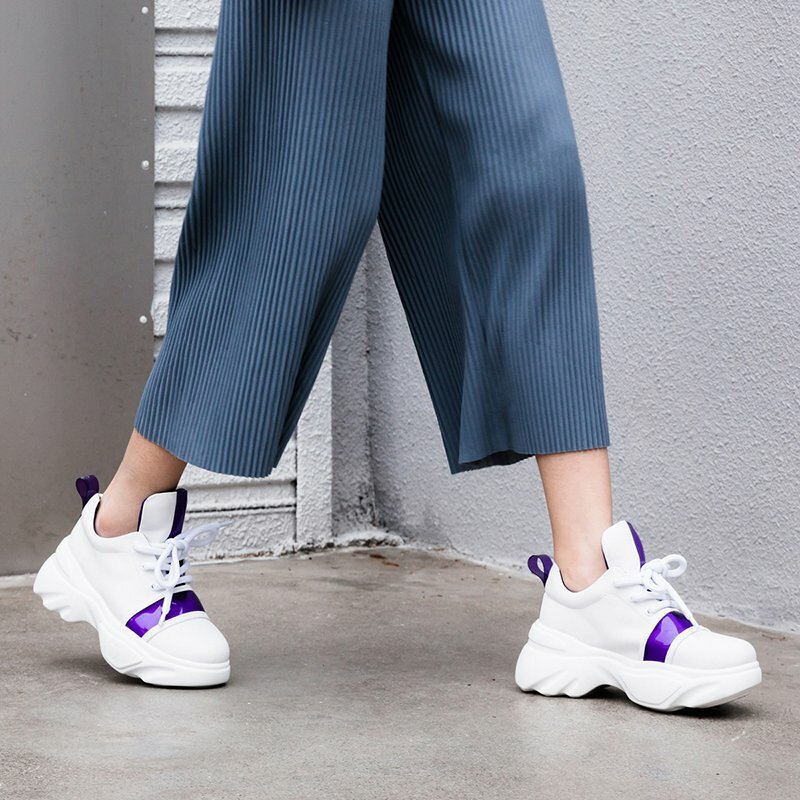 You can always sway an on-trend sneaker with retro-inspired outfits for real. 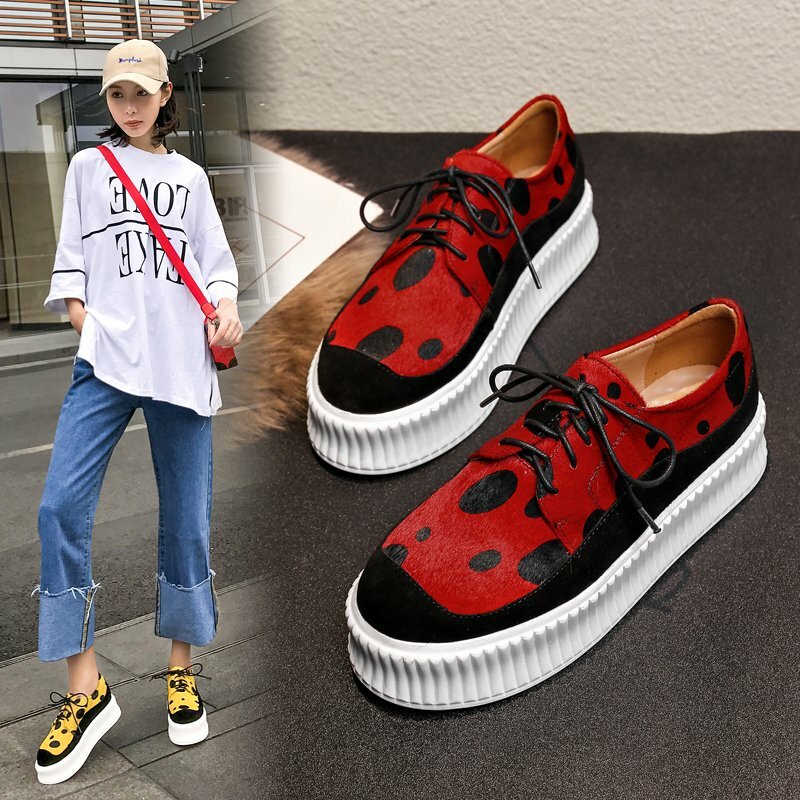 It’s a good chance for you to keep those aching but pretty heels at bay and make a loud fashion statement with high shine sneakers. 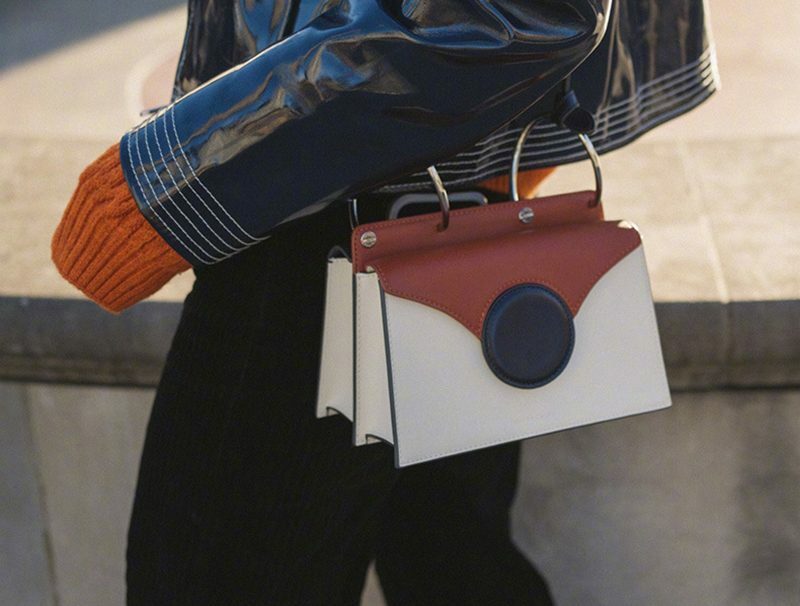 Ready for a street-stroll this spring? A dreamy sunny day and all you want is a laid-back fashion ensemble. 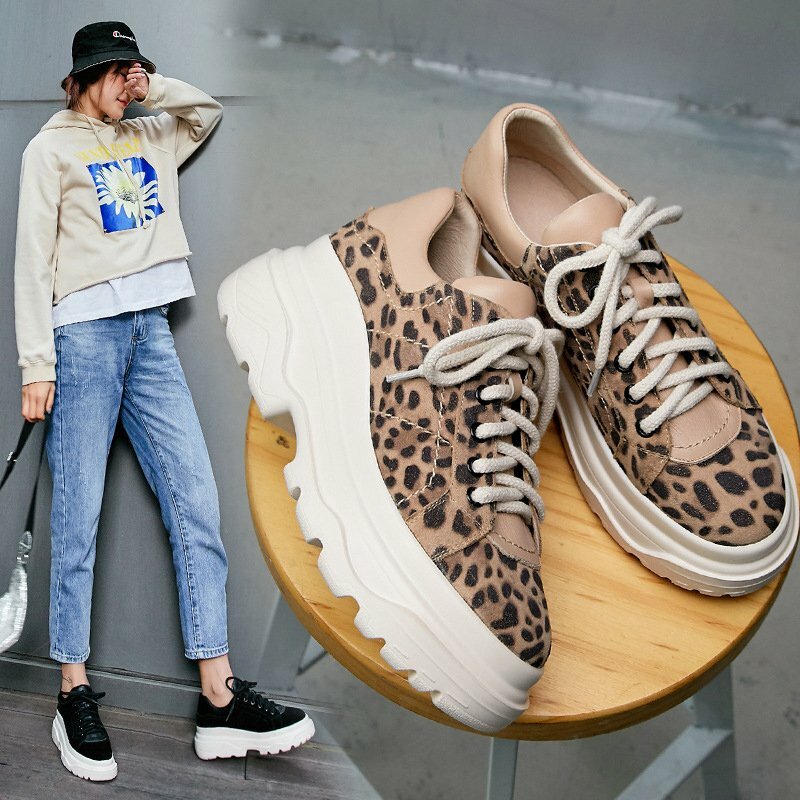 The animal print sneakers have got your back. These trendy beasts offer a casual-chic classy look. We’re talking about leopard prints engulfed in leather, laces and plain stripes too. No wonder girls would love to trade their flatties and high heels for these lovelies. Be sure to piece it together with a comfortable outfit, preferably with dark tones. Maybe denim shorts with a black and white cardigan. It’s a daring style, go for it! 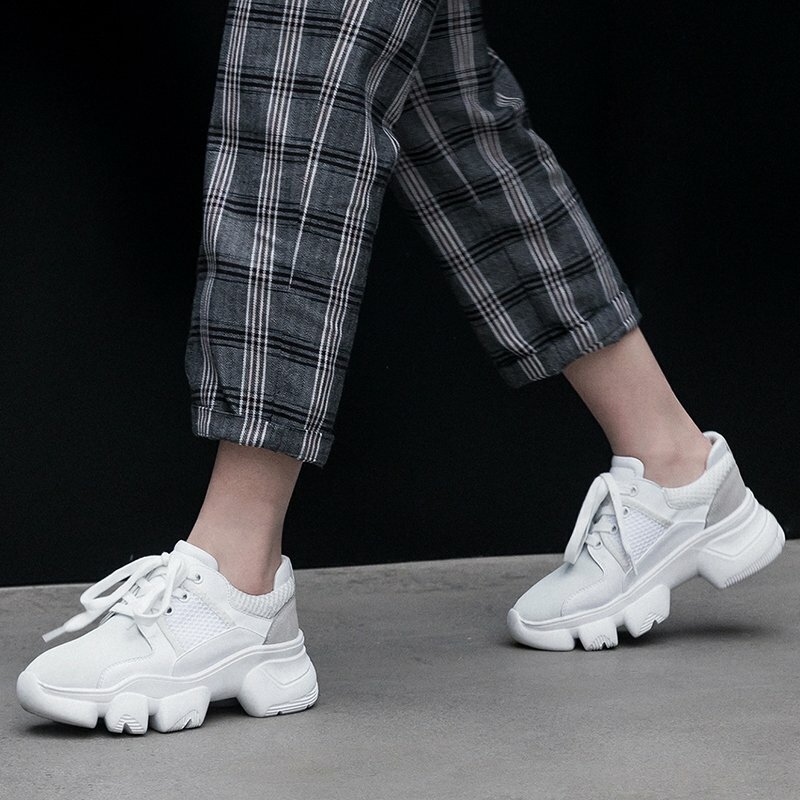 A glance at the chunky platforms puts you in a temporary dilemma; sneaker or boots? They aren’t only boots or simply sneakers. Just when you thought dad sneakers will go away, you see them back on the line. Time to take out your fanny packs, medium-washed jeans, team hats, and tucked-in shirts. This boho trend is for nonchalant girls who are up for quick fixes yet they don’t compromise on the modernity. 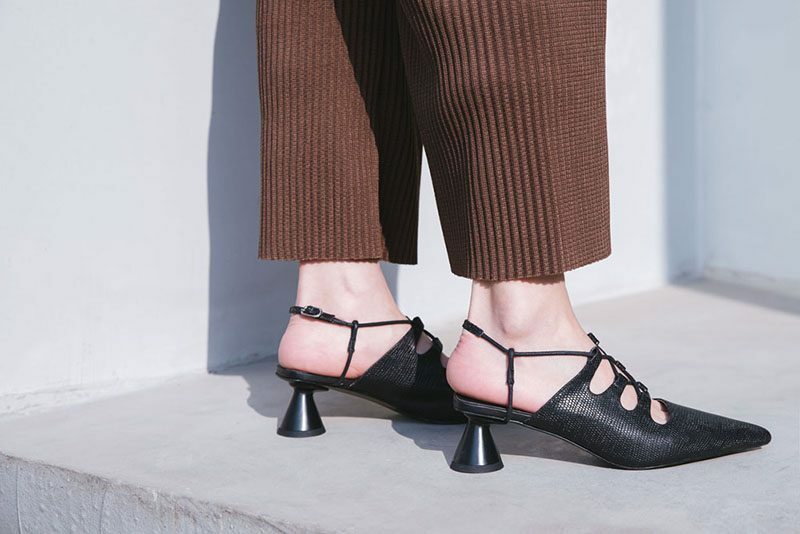 Leave the sophistication behind and gear up with chunky platforms for an a la mode insouciant look! This spring, sequin dresses, and office suits aren’t going to be a hit on the street. With outlandish sneaker trends, you are up for dressing up less-glamorously and more-placidly. Keep it casual and sporty, happy go, lucky girls!